Vitamin E in dogs is one of the most discussed topics in pet nutrition. A lot of dog owners are realizing the benefits of supplementing their pet’s diet with this minimal. If you haven’t started Vitamin E supplementation for your dog, here is why you should. The first benefit of Vitamin E you will notice in your dog is how shiny his coat is. The vitamin acts as a direct nutrient to the skin as well as his fur. On the other hand, a deficiency in the same vitamin could lead to skin dryness, dandruff, rashes, and even skin lesions. Vets always recommend Vitamin E supplements for dogs suffering from flea allergy dermatitis. If your dog is sick, the same vitamin will be integral in his quick recovery. Vitamin E has a high anti-inflammatory potential as it soothes the skin and restores the health and luster of your dog’s coat. Vitamin E is known to strengthen your dog’s immune system. It combines with minerals like Zinc and phosphorus to boost your dog’s ability to fight diseases and infections. Moreover, Vitamin E acts as an antioxidant against free radicals. It protects your dog from the oxidation process triggered by the polyunsaturated fatty acids in his food. If you want your pooch to give birth healthy pups, just put him on a dose of vitamin E. Studies show that the mineral boosts fertility in animals especially dogs. So as you feed him a balanced diet, throw in a few Vitamin E capsules and she will be good. 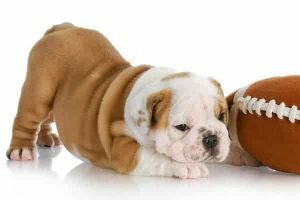 Vitamin E catalyzes muscle growth and boosts motor functions in dogs. This is beneficial especially for dogs with an active lifestyle like terriers, huskies, and greyhounds. The same vitamin also promotes joint health by acting as a lubricant for your pooch’s joints. Fortunately, there are three ways to feed your dog vitamin E supplements. The first option is through oral supplements to be taken with his food. The dosage of vitamin E administered will depend on the size, age, and weight of your canine pet. For smaller dogs or puppies below two years, vets recommend 400 IU of vitamin E in the pet’s daily diet. For large dogs above two years, about 800 IU of vitamin E will be enough to maintain their good health. The dose may be higher for sick dogs or dogs recovering from an illness. The second way to give your pet vitamin E is through oils or shampoos applied on the skin. This method is ideal if your pooch suffers from dandruff, itchy skin, lesions or any skin problem he may have. The vitamin E in the products you use will not only alleviate his skin issues but also restore the luster in his coat. The third way for your dog to get vitamin E is by feeding him high-quality kibble. Ensure that the dry food you buy him is approved by the Association of American Feed Control Officials (AAFCO). Alternatively, there are inexpensive options for vitamin E like wheat germ oil, peanut butter, hazelnuts, and almonds. Vitamin E in dogs is recommended to keep your pooch healthy and whole. The best ways to ensure your dog is getting his vitamin E is through quality pet supplements, dermatologically approved skin oils and shampoos, as well as high-quality kibble.